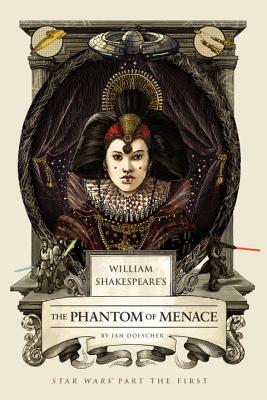 Experience the Star Wars saga reimagined as an Elizabethan drama penned by William Shakespeare himself, complete with authentic meter and verse, and theatrical monologues and dialogue by everyone from Darth Maul to Obi-Wan Kenobi. The entire saga starts here, with a thrilling tale featuring a disguised queen, a young hero, and two fearless knights facing a hidden, vengeful enemy. Authentic meter, stage directions, reimagined movie scenes and dialogue, and hidden Easter eggs throughout will entertain and impress fans of Star Wars and Shakespeare alike. Every scene and character from the film appears in the play, along with twenty woodcut-style illustrations that depict an Elizabethan version of the Star Wars galaxy. O Threepio, Threepio, wherefore art thou, Threepio?